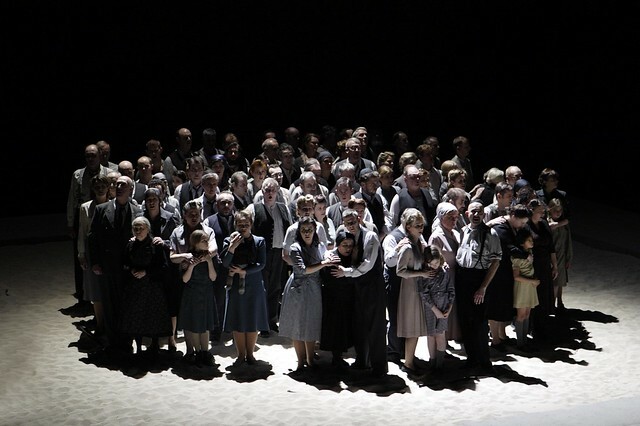 The Royal Opera Chorus was created in 1946 for the re-opening of the Royal Opera House after World War II. Known then as the Covent Garden Opera Chorus, it first appeared during December the same year in Purcell's The Faery Queene, staged together with Sadler's Wells Ballet (now The Royal Ballet). Its first full-scale opera production was Carmen in January 1947. Since then the chorus has been the backbone of The Royal Opera, performing in an average of 20 productions each season, in a wide repertory ranging from Baroque through to newly commissioned works. The chorus is frequently augmented by as many as 60 freelance singers when larger productions are mounted. As most operas are performed in the original language (Italian, French, German, Russian, Czech) the chorus works closely with language coaches during the rehearsal period. Due to the brevity of production runs (six or seven performances) the chorus will often be performing in two or three productions in the evenings while rehearsing one or two other productions during the day and also learning the music of several other operas, all at the same time.